Medical Joomla theme features exactly what you need to create a fantastic health-related establishment website with no draw-back. There’s a cool and contemporary design, absolutely responsive layout, every one of the forms you may require to operate an internet business. Additionally it’s possible to contact us for help should you have difficulties with installation, we have got round-the-clock tech support. Look into the live demo of the Medical Joomla template to make certain this is the best fit for the medical company. 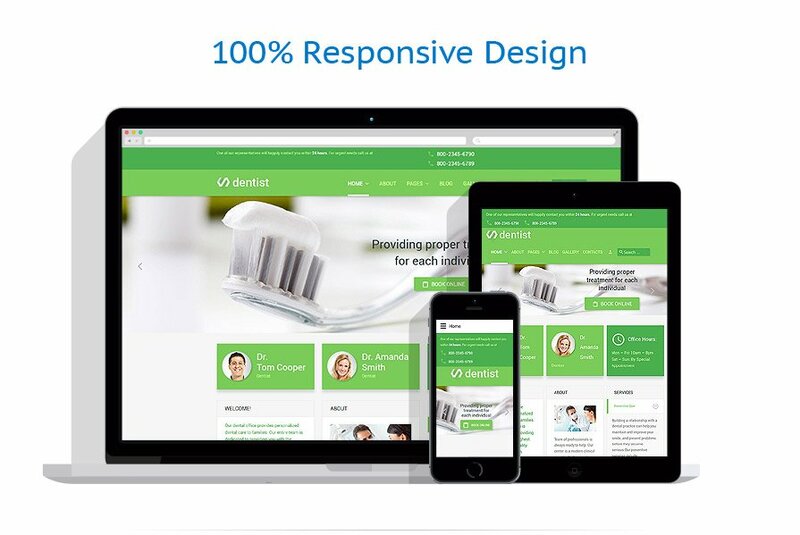 This responsive Dentist Joomla template is a great choice for medical Joomla-based websites. With the help of its fresh green palette, typical for natural products, you will assure your customers in reliability of the services you provide and increase their loyalty. The feature block depicting services is designed as an accordion menu to contain more information and use less space. Clearly visible phone numbers in the top of the screen will help your visitors easily contact you. The Google map placed in the footer will show the location of your office.